What Will Your Chamber Do For You? We answer your mail -- Every year, we reply to hundreds of inquires about Spooner regarding local businesses, services, relocation, recreation, events, tourism and much more. We work to create a positive image of our community. We maintain your website -- www.spoonerchamber.org gets over 5,000 hits every month, and we fully expect that number to grow as our new site comes online. Chamber members receive a free business listing, and a free hyperlink from our directory to your website. Our community calendar is also open for our chamber members’ use year-round. We actively promote our trade area and tourism industry though various forms of media. This includes website advertising, regional and local tourism publications, Direct Mail, local newspaper advertisements, and many other marketing vehicles. 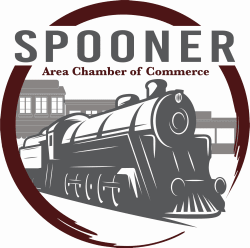 We administrate the Spooner Chamber Dollars program which promotes the local economy. Thirty-thousand dollars are spent at local businesses through Chamber Dollars annually. You will be included in our membership directory, “The Spooner Book." Make sure your business is included. You will receive our monthly e-Newsletter, “Jack of all Trades,” with information on featured businesses, events, volunteer opportunities and more. You will have opportunities to network with other community business people, including “Business After Five” gatherings and monthly chamber meetings. You will have the opportunity to notify other members of your events and opportunities, through email list notification. The Chamber serves as the major vehicle for offering educational opportunities through UW Extension. The Chamber serves as the voice of business in local, county and state legislation, including the Washburn County Economic Development Corporation, Washburn County Tourism Association and Business Improvement District (BID). The Chamber serves as the administrator of the Room Tax, with approval by the finance Committee of the City of Spooner Council. Currently, these $22,000 tax dollars will be used by The Chamber to market the Spooner area and promote overnight stays in our community. Together we sponsor 5 events a year, bringing the community together to celebrate all 4 seasons in the great north woods. Click here for additional Advertising Opportunities through SACC.